A well-stocked emergency first aid kit is a very important part of the equipment aboard a cruising sailboat. Your choices are to purchase a commercial kit at a chandlery or outdoor equipment store or either from the Canadian Red Cross or the American Red Cross. Alternatively, you can put your own kit together. Purchasing a commercial kit has obvious advantages. The contents have been pre-selected and pre-packed for you. One criticism is that they tend to focus almost exclusively on wound treatment to the exclusion of other types of medical issues. 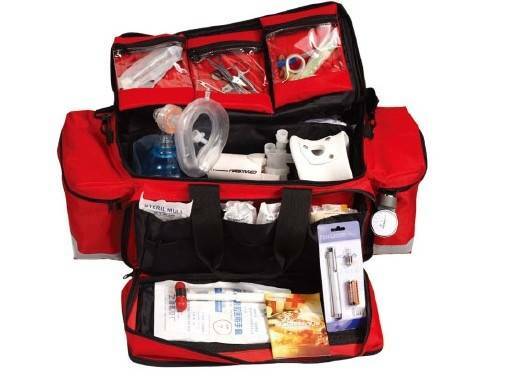 Creating your own emergency first aid kit results in a first aid kit that can better reflect your own personal needs. Personally, this is my preference because I like the flexibility it offers. What follows here is a suggested emergency first aid kit list. Use it as a starting point to create your own first aid kit. If you add a good first aid course and some good reference books, you will certainly have covered off this area of planning. 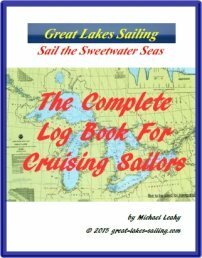 Keep in mind that on the Great Lakes, we are fortunate to be within virtually continual VHF radio coverage of the Canadian Coast Guard and the US Coast Guard. In emergencies, these two agencies can reach any sailboat or sailor in distress. Therefore, you certainly do not need a first aid kit suitable for a hospital emergency room! As a container, you can choose either a soft-sided bag or a pelican-style container. I prefer the bag because it is easier to store. Inside the bag, there are several smaller packs, each designated and clearly marked for a particular problem: minor problems, wounds, burns, fractures, medications, and instruments. Also included is a good first aid manual (see suggestions). Each pack is clearly marked for easy access. Inside the bag, have a complete list of all contents plus the date purchased. Items that have an expiry will need to be replaced - an easy way to identify these is to put a coloured sticker on the item with the date written in. Keep a duplicate list of contents and a copy of all prescriptions with your ship's papers. These supplies can be purchased at big-box stores, major drug store chains, outdoor equipment stores and specialty suppliers. 1-2 dozen strip bandages 1" x 3"
6 -12 gauze pads 2" x 2"
6-12 gauze pads 4" x 4"
2-4 Dressing Pads 5" x 9"
2 rolls of gauze 2"
2 finger splints 1" x 6"
Personal medications and prescription drugs.